Prince, Akua Naru, Feed Me & Crystal Fighters, Common, Stevie Wonder and more. 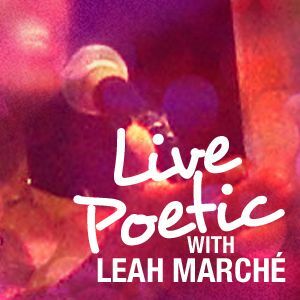 LIVE POETIC with Leah Marché is a weekly show that takes a look at the poetic lives people lead. This show was re-broadcasted 7/5/13. Featuring the co-founders of ONe TRUe LOVe, ANN CABANO and KRYSTEN ALDRIDGE (http://onetruelove.org / http://seedspot.org); WISDOMSOUL&apos;s Organic Live cd project (http://reverbnation.com/wisdomsoul); and Arizona State University&apos;s Project Humanities Director DR. NEAL LESTER (http://humanities.asu.edu) on what it means to "live poetic."